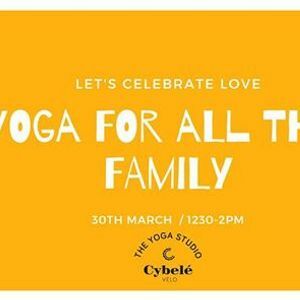 A Family Yoga Flow to celebrate that a bond of Unconditional love. Initially, I was going to do a Mothers Day flow. However, I then thought more about it, and it's not just about being a woman and giving birth to a child; we are all mothers in our own way. Take me, for example; I'm a mother to 2 beautiful boys, now they may have four legs each and waggy tales, but I'm their mummy, unconditional love. 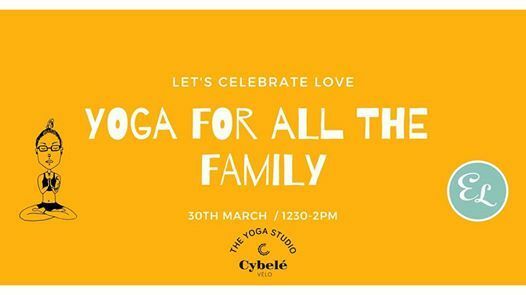 So Parents and children of all ages 5-99, grandparents, families, carers, guardians, all ages, all levels (sorry my furry friends you can't come to this one, although I wish you could) come and join me for an afternoon of Yoga, meditation, Playfulness, Connections and heaps of love. I can send you a menu to pre-order your food, and smoothies. Paypal - https://paypal.me/justmimi (please pay as friends and family) or a fee will be added.